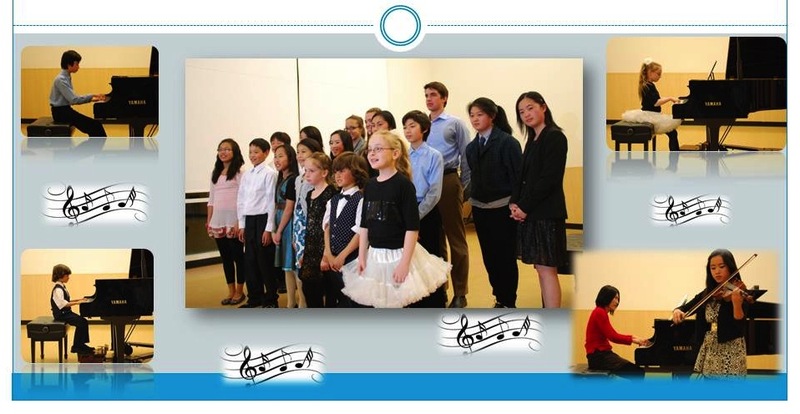 Recitals are only available for San Mateo Branch members in good standing who have signed a Recital Hall Rental Contract. Follow the directions on the SignUp link. Then, print and fill out the Recital Hall Rental Contract along with the "Community Center Equipment Request", if needed, and send the contract and payment to the Recital Hall Director. If you are signing up for hours from January - December of 2019, go to SignUp 2019. Then you must fill out the Recital Hall Rental Contract. Your reservation is confirmed only when the Recital Hall Director has received your contract and payment and has emailed a confirmation to you. If you want to add hours, please note that your contract and payment must be received by the third Sunday of the previous month. For example if you want to book hours in December, your contract and payment must be received before the third Sunday of November. All priority reservations and payment must be completed and submitted to Sandra Gu. If payment is not received the reservation will be cancelled. No Exceptions! Then, if you need to make changes you may do so by using the SignUpGenius app. Simply create an account, click on the times you'd like to swap or delete. Then, request to swap with another teacher. If you're the only teacher to book on a Saturday or Sunday you will need to book and pay for a full 3 hours. But, you can add on shorter time slots if 3 hours are already booked on any given day. If you want to book less than 3 hours just be sure to book this time on a day that already has 3 hours. Wind Room booking is available only for San Mateo Branch teachers. MTAC teachers from other branches are welcome to apply for Contributory Membership to our branch in order to gain access to reserving the Wind Room. November and December months have a limit of 3 hours per teacher until July 30. After this priority booking period you may add hours. This gives other teachers an opportunity to book the Wind Room. But, if you want more hours after July 30 you can add on time to an existing date.. The standard set up of chairs is 60, but you may request up to a 100 chairs for your event. The pianos and chairs will be arranged to face East Hillsdale Blvd in a theater style. Members are not permitted to change the hall's seating arrangement set up for the day's event. No exceptions.